I really do. They are just so bland and tan. Tan wood. Tan cork. Blah. Why can't they be pretty? My oldest, K, loves to collect photos, scraps of paper, other little odds and ends that are flat. 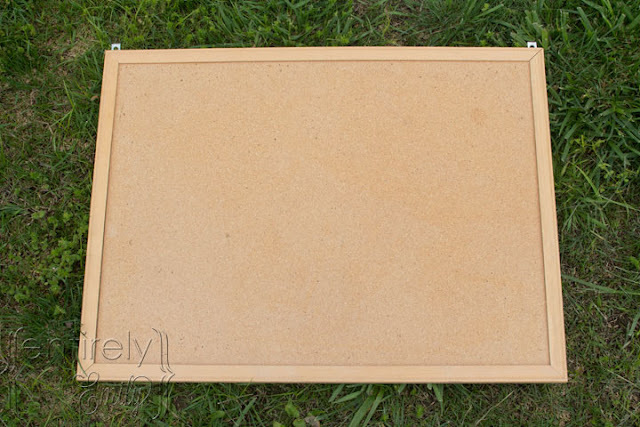 So I thought of this ugly old cork board I had in the basement. I wanted her to be able to pin stuff on it and also find a way to hold all of the headbands and necklaces she was accumulating. 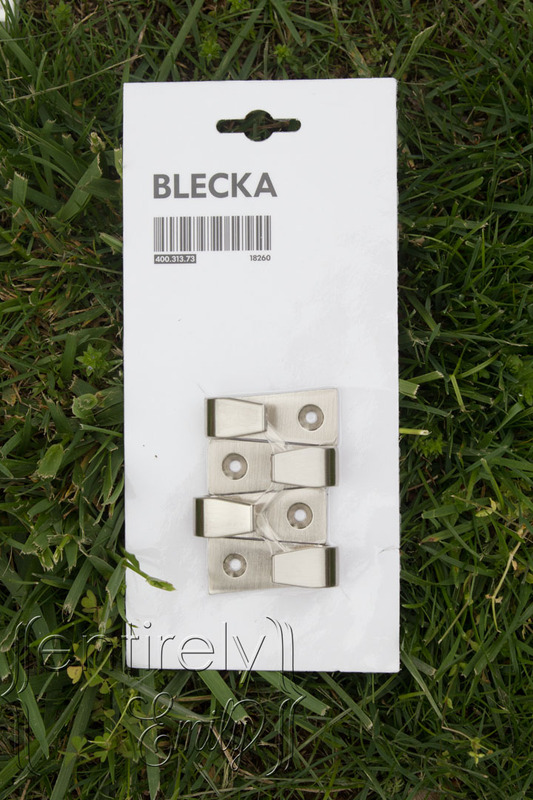 My sister was heading to IKEA so I went online looked around and asked her to pick me up these four hooks for like $ 5. Voila! Everything was now pretty and white. I asked him to screw it to the backside/inside of her closet door so that she could reach everything but it wouldn't look all cluttered all the time. I also had some of these awesome jumbo pins we bought on a vacation ( long story) that were pink. 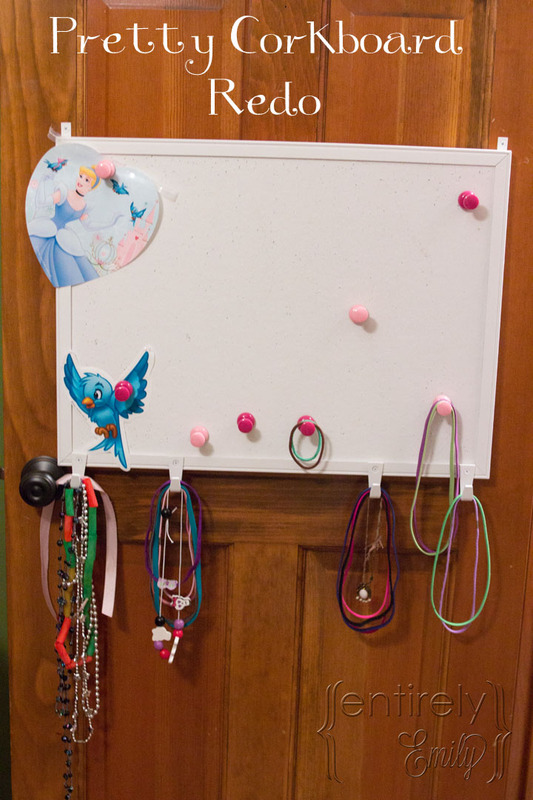 Now she has an awesome place to keep all of her paper/flat treasures and she can also get to all of her headbands so help get ready in the mornings. 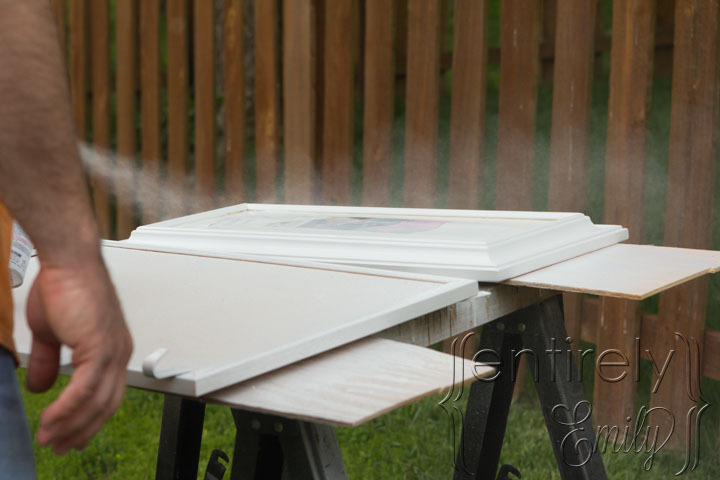 Adios Ugly Cork Boards! 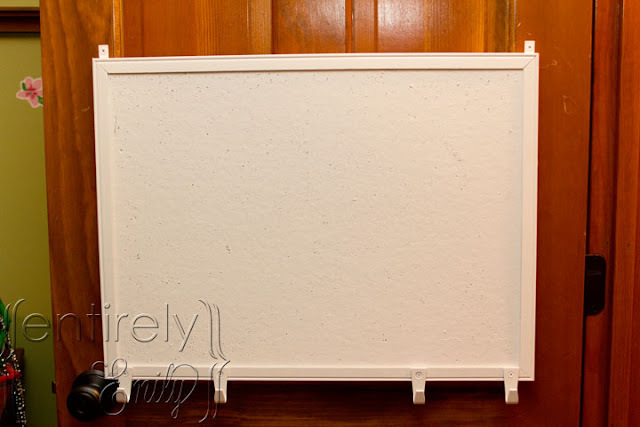 Hello pretty, clean, white cork boards! We even have another one....hmm.... what can I do with that? Thanks Linda. Glad to meet you. Hi Lindsey! Welcome! Thanks. I can't wait to go check you out too. The white is much nicer! You have a great blog. I LOVE your friday funny series (rubbing TP between your breasts....ha!) I'm following you on GFC. I'd love for you to visit my blog sometime. Have a great day!